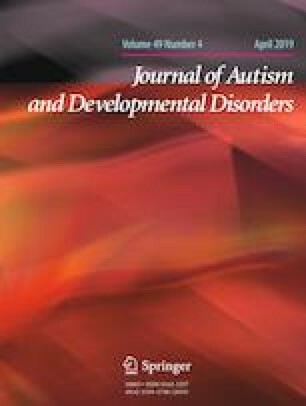 A recent cross-sectional analysis of PDD Behavior Inventory (PDDBI) data, analyzed with a classification and regression tree algorithm, yielded a decision tree (the Autism Spectrum Disorder-Decision Tree or ASD-DT) that detected three behaviorally distinct ASD subgroups: minimally verbal, verbal, and atypical. These subgroups differed in PDDBI profiles and in factors previously reported to be predictors of autism severity and adaptive behavior trajectories. We retrospectively analyzed trajectories of adaptive skills and autism severity in these subgroups, defined by ASD-DTs calculated from initial evaluation PDDBIs. Results confirmed predictions that each subgroup had distinct trajectories that varied with the type of adaptive behavior assessed suggesting that the ASD-DT has prognostic value that could be helpful for both clinical and research applications. The authors would like to thank the many families that participated in these studies and J. Helen Yoo, Ph.D., for her assistance with information on the Vineland-II and Vineland-3 for this manuscript. This research was supported by funds from the New York State Office for People with Developmental Disabilities, the NYS Special Legislative Grant for Autism Research, and by Grant #12-FY99-211 from the March of Dimes Birth Defects Foundation to Ira L. Cohen. ILC developed the idea for analyzing trajectories as a function of the subgroups, evaluated all cases, performed the data analyses, and wrote the manuscript. MJF suggested the use of GEE models to analyze the longitidinal data and independently confirmed all of the analyses. He also reviewed the manuscript. The PDDBI generates a royalty, 50% of which is used to support research at the Institute with the other 50% distributed to the authors of the PDDBI. Dr. Cohen is one of the authors. Dr. Flory declares that he has no conflict of interest. All procedures performed in the research studies described above were in accordance with the Ethical Standards of the Institutional and/or National Research Committee and with the 1964 Helsinki Declaration and its later amendments or comparable ethical standards. Informed consent was obtained from all caregivers participating in the various research projects included in this study.